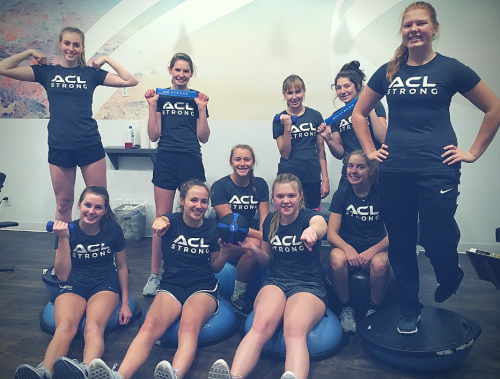 These teammates have seen too many athletes go out with a ruptured ACL (anterior cruciate ligament), so they are taking matters into their own hands to become “ACL Strong”. Coaches and players are getting together and committing to do something more to protect themselves and prepare better for their season. They want bulletproof knees, so they can focus on playing the game they love. An injury to the anterior cruciate ligament can happen in an instant and will take a player out of the game for a year, where they often require surgery and extensive rehabilitation to work their way back to their sport. Many never even get back to the same level of play, and 30% end up re-injured. If they dreamt of competing at the college level, the opportunities may be fewer for even the most-skilled athlete. The more you know about this injury, the more you don’t want anything to do with it. Timing is key for a prevention program, so these basketball and soccer players have been getting together 2-3 times per week to go through a series of exercises that help them build strength and body control. After 4-6 weeks, their risk of injury will be 50-80% LOWER! Some of the exercises have them balancing on one foot. Some require them to hold their balance on an unstable surface. And some of the exercises get them hopping quickly in different directions. The ACL Strong program that they are participating in is designed very strategically to advance them in various athletic areas. Most participants love that the program tells them EXACTLY what to do, and that it changes every week. They love that it is convenient and can accommodate even the busiest school and sports schedule. And most of all, they have FUN and look forward to doing it! 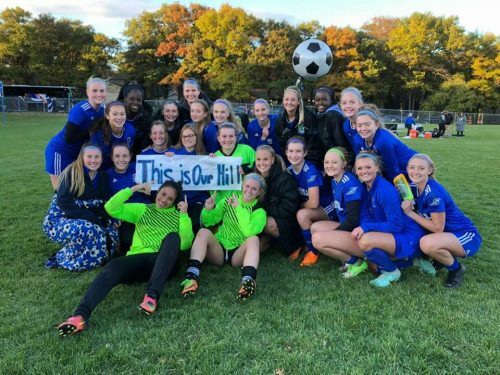 Check out what a high school soccer coach from Sartell, MN said about the ACL Strong program after their 2018 season ended at the Championships. He has been encouraging his players to participate in the course for consecutive years now. Kudos to these coaches and athletes, who are taking an extra hour out of their week to become more resistant to hip, knee, and ankle injuries, especially those involving the ACL. This could make the difference for them when it comes to protecting their future in sports. And according to all of our participants, it’s worth it! Sartell High School, led by Coach Roy Snyder, prepares for their season every year with the ACL Strong injury prevention training program. Wondering how to sign-up for ACL Strong? Click here to learn more. Enroll individually or as a Team. Large organizations may contact DrLeslie@ACLSTRONG.com for a special rate.